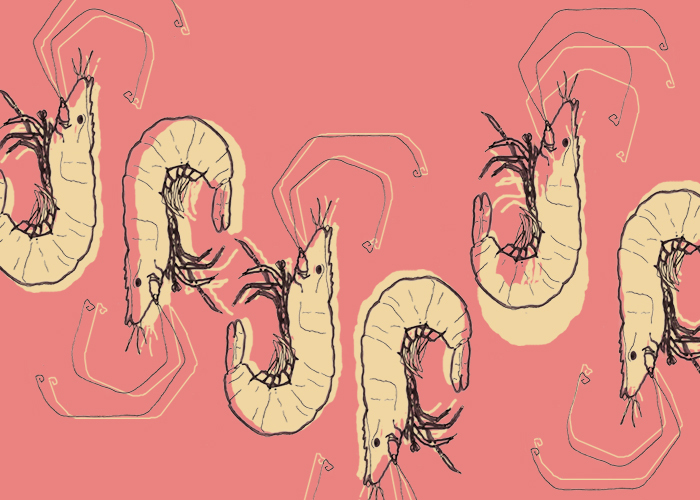 Could Shrimp be the answer to our oceans plastic problems? Plastic itself is a polymer, but not all polymers are plastic and not all plastics cause problems for the environment. Plastic was a revolutionary material in terms of practicality and durability during the 1950s, however in more recent years has presented problems as a material for single use items or items with a short life span. Plastics cannot decompose at the rate they are discarded, resulting in an unmanageable overflow in landfills and damaging debris in the ocean posing a threat to wildlife. Javier Fernandez and Donald Ingber of the Harvard Wyss Institute for Biologically Inspired Engineering have been working to develop a new material intended to be a natural and biodegradable substitute for plastic. The new material, ‘Shrilk’, is composed of chitin, a natural polymer found in the shells of shrimp and exoskeletons of insects, and proteins derived from silk. Shrilk has the ability to degrade in landfill and is also a natural fertiliser, enriching soil. Chitin is a waste material of the shrimp industry so is readily available and gives this waste material a new lease of life in the form of valuable new component that can be used to create many products. Being inexpensive and easy to obtain this material should be able to meet the demands of plastic in its current forms if it were to become sought after. Shrilk could also be a potential investment for current plastic manufacturers who could be encouraged to get involved in funding the research and production. The Food and Drug Administration have also approved the ingredients of Shrilk for potential medical use. Shrilks’ ability to dissolve over time means it is perfect for use in sutures and can also be used to protect burns and wounds as it would work as a platform allowing new cells to grow. Shrilk has the durability and strength of aluminium alloy, but only weighs around half as much. There are still some rather large limitations. Research on this material is still continuing due to its inability to be used in moist environments. Shrilk becomes flexible when wet and therefore is currently not viable for many uses. The material is being developed in order to combat this weakness and also to simplify the manufacturing process to allow mass production. If researchers can overcome this problem then Shrilk is a viable replacement for plastic manufacturers. Shrilk is good for the environment, good for your body, and potentially good for investors.